– Undercounter and console sinks for vanities are on trend. – White remains the dominant color for bathroom sinks. – 2019 is likely to bring sinks that incorporate more mixed metals such as copper or cast iron, hand-painted sinks or those with textures and patterns. – Matte black and warm brass will be trending faucet finishes in the coming year. – Skirted one-piece water closets will increase in popularity because they are easy to clean. – Self-cleaning toilets will grow in popularity as will toilets that feature integrated bidet functionality. – Free-standing system tubs that offer jets, whirlpool capabilities and heated surfaces. – Color and shape options for tubs will continue to grow and give homeowners the ability to truly customize their bath. – Wallpaper will gain traction as a means for homeowners to make personal design statements, especially in smaller spaces such as a powder room or foyer. – Open, curbless showers are expected to increase in popularity. – Mixed textures and finishes will expand the spectrum of visual interest in the bath exemplified by combinations such as matte black faucets and warm brass pendants. Want to incorporate some of these trends in your bathroom? Visit the Sea Pointe Construction Design Showroom at 576 Wald, Irvine CA 92618 for design inspiration. 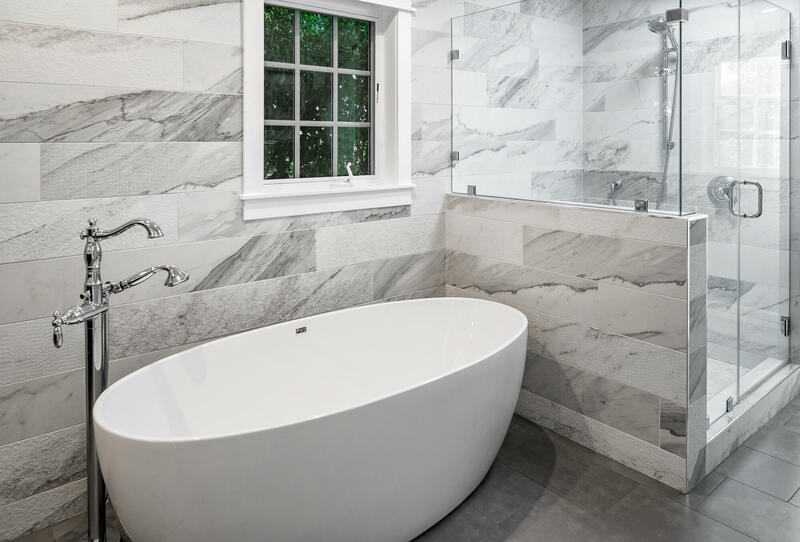 To explore your bathroom remodeling possibilities with a Sea Pointe Construction Design Consultant, call us at (949) 861-3400 and schedule your complementary, in-home first appointment.